Thanks to all who showed up for both DAMS in July! We had some awesome conversations including our guests, Liz Neely and her Beautiful Data cohort, Allegra Burnette, and Don Undeen. The next two months we’re going to shake it up again! Join us at Bukowski Tavern for the regular libations and conversation. Relaxed, casual, just as August should be. The Nichols House Museum has graciously offered to host the group and give us a 30-minute tour through the house. The tour will be followed by NEMA-led activities to help us build confidence for meeting legislators and their staff in preparation for #MassMuseums Day. 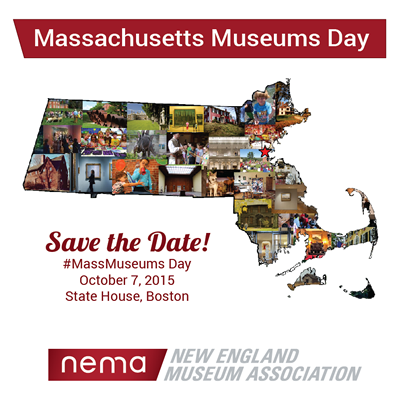 NEMA will have more details and sign-up information for the October 7 #MassMuseums Day. Please sign up for the Nichols House Tour so they can know how many to expect!